A couple of days ago, I received an email from a representative at the Home Shopping Network (HSN) asking if I would like to contribute my input on a piece beauty author Carly Woods recently did on how to manage looking well-rested when you’re really not. In Carly’s post titled “4 Overnight Beauty Products You Should Be Using,” she talks about women having to do a “darn good job faking” that we have slept, because let’s face it, 8 hours of sleep (or more) is a luxury usually only reserved for weekends and sick days. Right now, I am a full-time college student approaching final exams and sleep is becoming a scarce commodity. With seemingly endless projects and due dates on the horizon, sleep is sometimes put on the back burner of things to do. Fortunately, I have discovered a few tricks and tools that help me to maximize the precious sleep I do get! 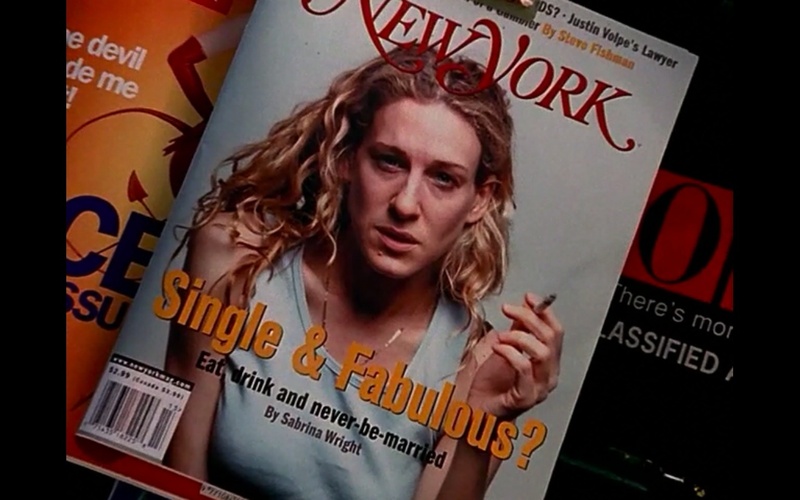 Below are my tips and tricks so you don’t end up looking like this infamous cover of Carrie Bradshaw who seems to have forgotten to utilize her own beauty sleep! First, before you go to bed, make sure to always take all your makeup off entirely (especially eye makeup). I can’t stress how important this is! I know sometimes we get lazy and are too exhausted at the end of the day to do that one extra chore but it’s worth it! I swear by Johnson & Johnson Baby Oil to remove stubborn mascara and eyeliner. It does the job and keeps your eyes moisturized and non-irritated. Plus it’s only about $3! Next, to remove the rest of my makeup, I use a soft cleanser (one that doesn’t contain salicylic acid or a product that strips away moisture). Several years ago, a dermatologist recommended I use a Dove Bath Bar to gently wash away a long day from my face and I have done so ever since! These bars of soap are inexpensive and leave your face (and body) feeling moisturized and hydrated. After washing everything off your face, it’s important to moisturize (as mentioned in Carly’s post). Not matter the climate you live in, your skin loses moisture at night. I use a light, non-greasy formula by Olay that keeps my skin from drying out. DO drink plenty of water before bed! If you are hydrated you look more well-rested the next morning and your skin will be softer and less prone to blemishes. DON’T drink alcohol right before bed, it will make you puffy in the morning and cause those dreaded under-eye circles. Make sure not to sleep with your phone or computer within arms reach. This has been proven time and time again, if your brain is overly stimulated by the light and countless notifications, emails and messages you are receiving when you should be sleeping, you won’t sleep as well. I hope those were helpful! Feel free to share with me what your secrets are for faking a good night’s sleep! For more products or suggestions for you personally visit the HSN Skin Care Products page. Awesome tips Aly! I’ve fallen asleep way too many times without completely removing my makeup. Always good to have reminders of how important it is to do so!! Aly Knows Best Create a free website or blog at WordPress.com.